With bright, colourful, geometric wall art, intoxicating latin rhythms, custom-made mosaic tables from sustainable woods in Brazil, its own piazza and separate bar area Las Iguana’s pulses with an irresistible bolt of Latin American energy. 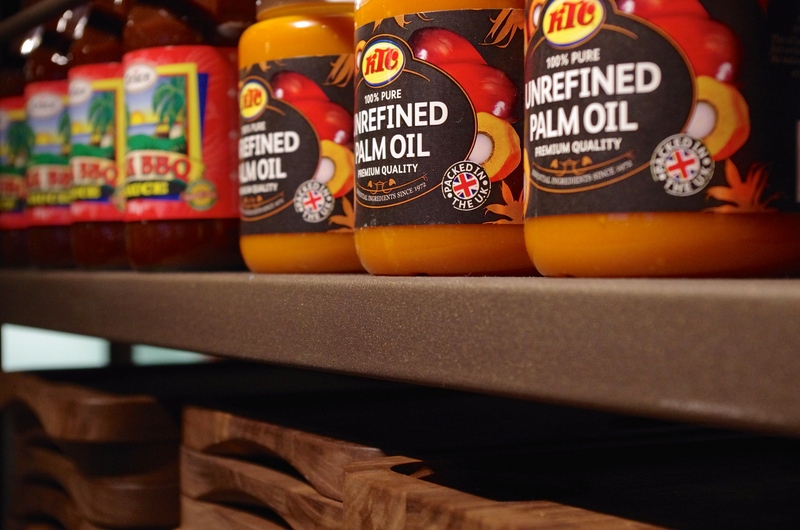 See inside the restaurant with our SurreyKitchen 360 degree Photo Sphere! The restaurant can’t promise the hazy sun of Copacabana beach, but with recipes dating back to the sixteenth century Las Iguana’s successfully fuses native Latin American Indian, Spanish and Portuguese and African influences. 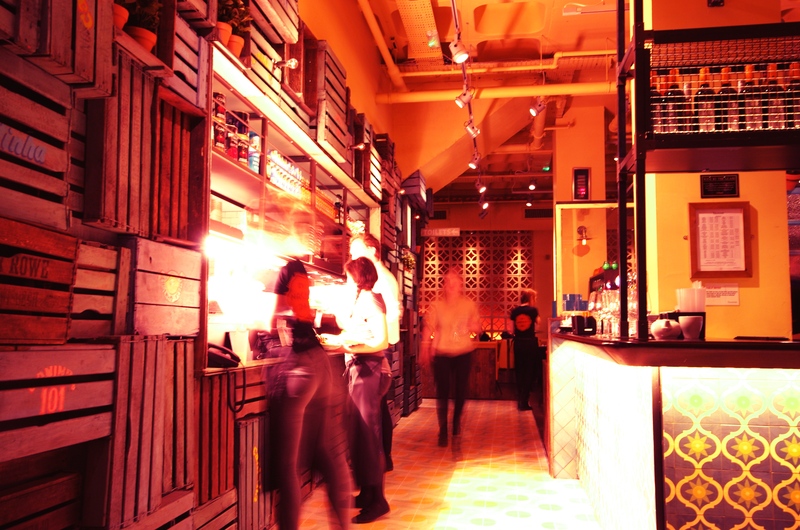 Rustic, authentic, packed with heat and exploding with flavour, Las Iguanas serves the kind of food South American’s enjoy at home, on the beach or in the street cafes. 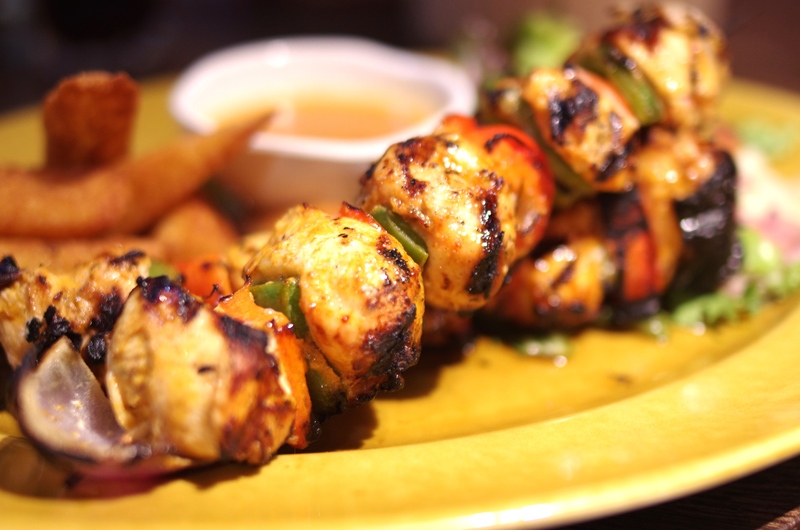 From Brazilian Xinxion curry to Mexican enchiladas, the restaurants mouth-watering list of Latin American dishes are accompanied by handmade fiery sauces, from honey peri peri to flaming hot habanero. Proudly supporting native South American businesses like their coffee supplier, Dalerra (who are Rainforest Alliance certified) and their Cachaca partners, Magnifica who grow their own organic sugar cane mixed with local spring water during distillation. The makings of a perfect Caipirinha! 1) Place lime wedges in a glass. add three bar spoons of sugar and mash together these two ingredients with a muddler. 2) Fill the glass three-quarters full with crushed ice. Stir with the bar spoon. 3) Pour over Cachaca and stir again with bar spoon. 4) Top with crushed ice. If Caipirinha’s are not your thing there is an extensive cocktail list including – Mojito, Brazilian Bellini, El Presidente, Peach and Orange Daiquiri, Jaguar Milk and many more. There is also a happy hour. (Check the restaurant’s website for details). 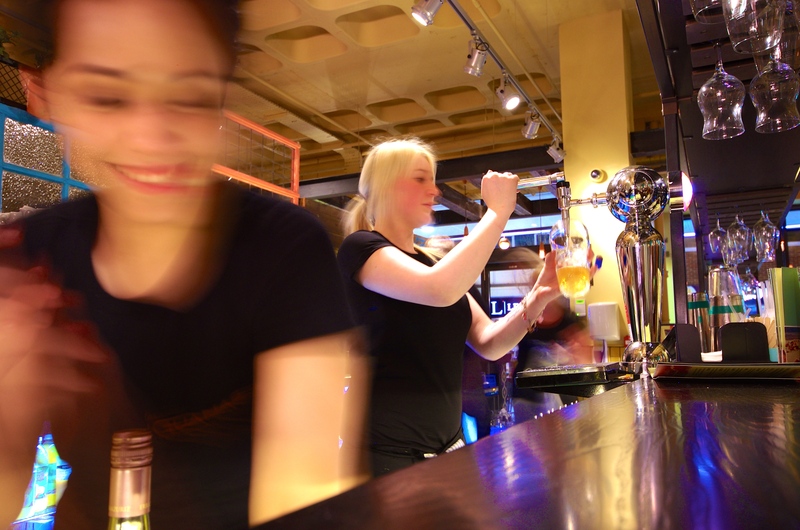 The staff are all friendly and attentive, greeting you at the door with latin warmth ready to lead you to your rustic table and guide you through the menu. Tapas are perfect as a starter or to share with friends over cocktails. From mouth-watering Gambas – butterflied shell on prawns cooked in garlic and lemon chilli sauce, served with Ciabatta bread, to Classic Champinons – thick sliced mushrooms in a creamy smoked chilli sauce, served with soft wheat tortillas. 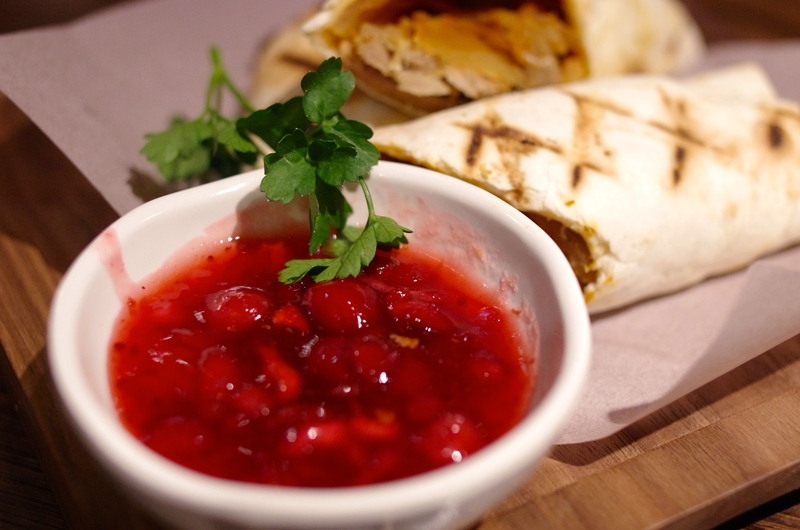 My personal favourite was the melt in your mouth Pato Taquito – rich shreds of roast duck and caramelised onion rolled on a flour tortilla and chargrilled with a spicy cranberry salsa. Pato Taquito – rich shreds of roast duck and caramelised onion rolled on a flour tortilla and chargrilled with a spicy cranberry salsa. Mains include perfectly marinated Churrasco Skewers. Flame grilled with honey peri-peri sauce, served with salad and Cassava fries, Fajita’s, Enchiladas, Burrito’s to a range of Latin curries. 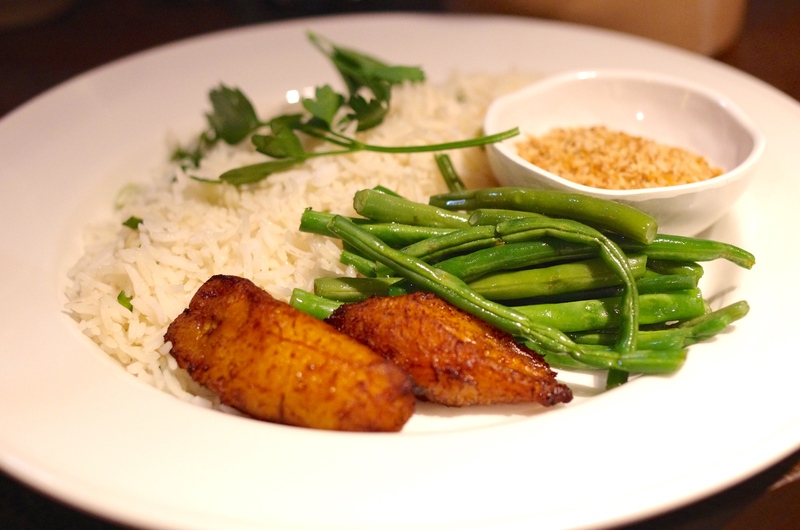 However the real star for me was the Xinxim curry – chicken and crayfish in a creamy lime and peanut sauce with spring onion and garlic rice, served with fine green beans, coconut farofa and sweet plantains. 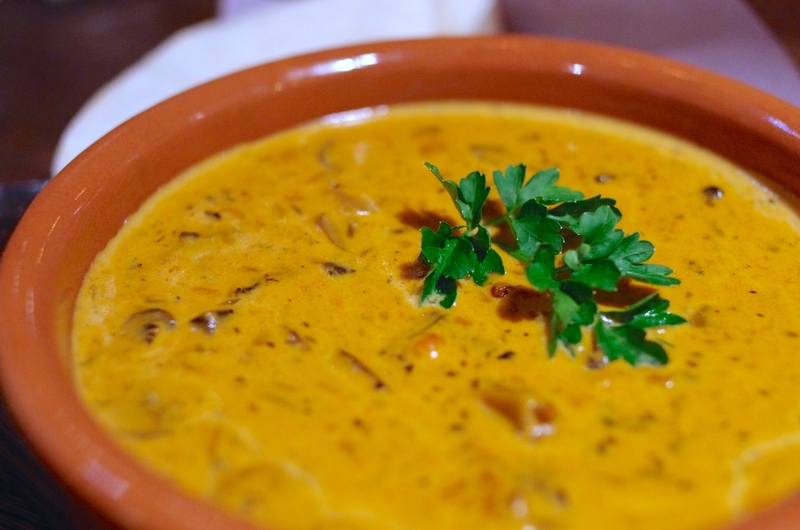 This is one curry that will transport you to South America without the need for an expensive plane ticket! For dessert choose from cinnamon-sugar dusted churros with dips for dunking, Trembleque – a creamy, set coconut pudding with mixed berries and mango puree, a range of handmade sorbets and a Berry Mexican Mess. 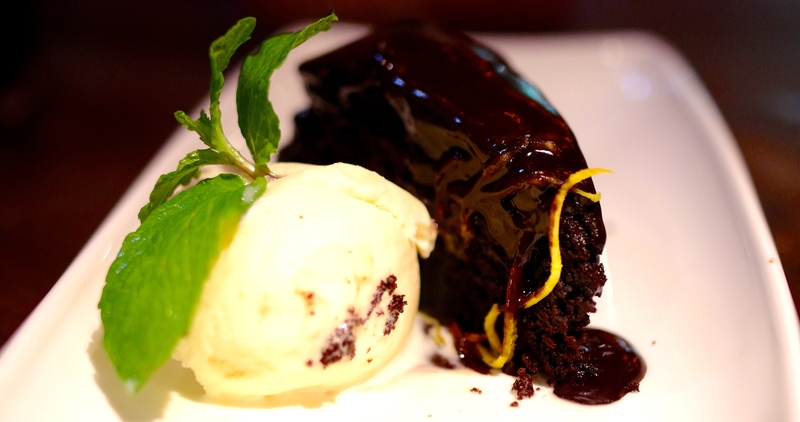 For a rich decadent treat I would recommend the Aztec Chocolate Fudge Cake – a warm spiced chocolate orange sponge cake served with vanilla ice cream. 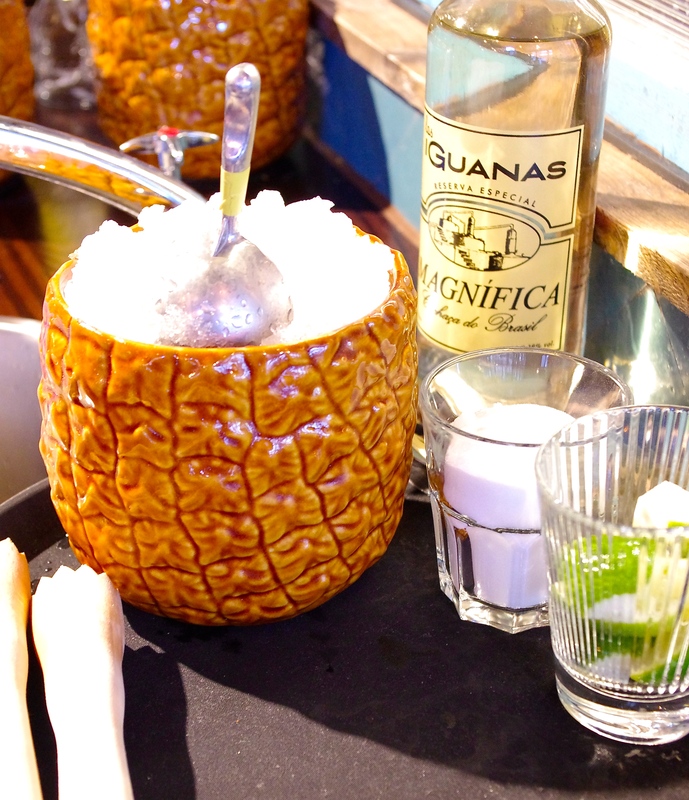 In true Latin style Las Iguana’s is a restaurant that focuses on flavour rather than fuss. 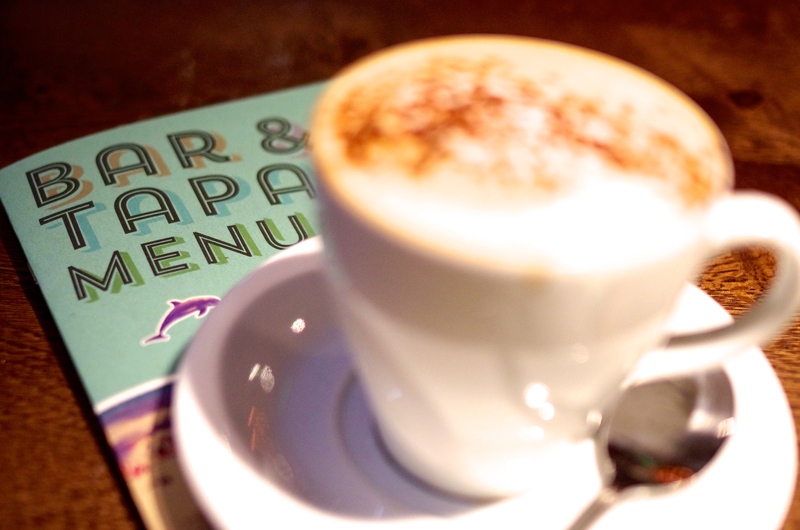 It’s unlike any other eatery in Woking town centre. 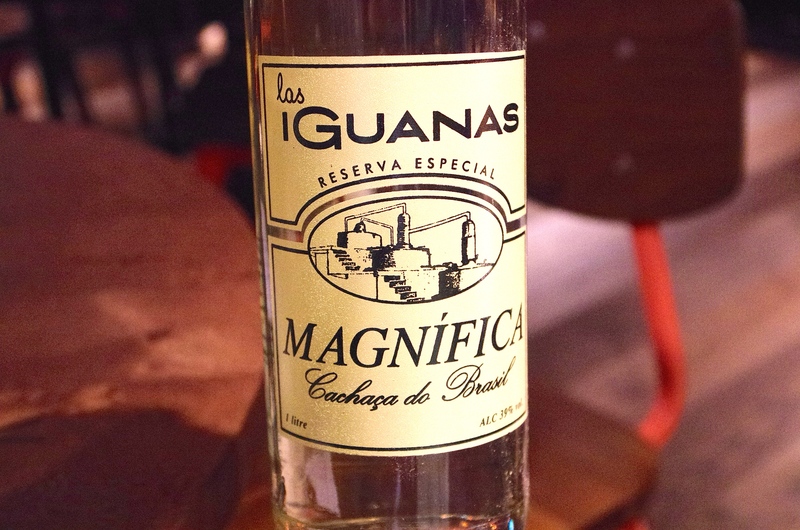 With authentic South American food and cocktails made with passion, love and lots of Latin magic, I think it is safe to say Las Iguanas is here to stay. Great review and looks like an incredible restaurant. I was also there this week and had a fabulous evening – really excellent food, drinks and service. I will definitely be returning! I couldn’t agree with you more Phil. We will definitely be stopping by again. Happy Eater. Emma. I enjoyed your 360 view of the restaurant although it seems a couple of patrons “lost their heads” over the food! Nice review, though. 🙂 The churrasco skewers look fabulous! I *really* need their recipe for their vegetarian enchilada with butternut squash and spinach. Their sauce is off the hook and I haven’t been able to recreate it here in the U.S. I imagine this is not something they would want to give away. I’m sure there are lots of similar recipes on the web for vegetarian enchiladas though. Oh, and those Champignons… I need the recipe for that too. Any ideas?